Considering a move to the cloud? If you've been perusing information on the web and doing your research, you know the costs of moving to the cloud versus the costs of running your own data center are a big decision factor. Don't get distracted by promises of reduced costs. Bottom line savings are great, but there are other factors that need to be considered. In addition to price, consider these 4 elements to help you determine whether cloud-based computing or a data center is more appropriate for your organization. Let's begin with the obvious—cost—before delving into other considerations. A move to the cloud from a self-managed data center positively impacts the bottom line in the following areas. Servers can't run themselves and the cost of purchasing software licenses and renewals can be a major investment. Managing human resources at a privately run data center can be tricky and expensive. Constant monitoring and expertise require expensive, experienced IT staff and engineers, plus consistent training. For a data center, redundant Power is a painful line item in the budget. Planning the appropriately sized data center and determining the right number of servers can be difficult. Even the best estimates allow for minimal scalability. Underutilized servers are a waste of money while running out of space and servers can be an expensive fix. But is cost alone reason enough to risk putting your infrastructure in the hands of someone else? To decide, take a closer look at other factors that should inform your decision. There are three reasons choosing to outsource an infrastructure to an expert service provider makes sense. Proven vendors specialize in cloud communications. The data centers are regulatory compliant, well managed, and most importantly, reliable. Combining your business phone service and fiber connectivity with a computing infrastructure that is in a cloud environment with a direct connection will minimize jitter and latency. This is done through a direct connection between the business and the data center, something a budget provider can't do. Unified communications specialists provide access to additional functionality such as Atlantech's Cloud Connect, which connects customers to AWS and other major cloud service providers. Consider the amount of internal and external threats to a self-maintained data center. For true peace of mind, a cloud computing solution is the answer. Cloud-based data center security relies on physical, human, and technological components to protect against all possibilities. The most frequent cause of loss of connectivity is human error. The amount of downtime it causes is painful and can damage a reputation. A move to the cloud minimizes the possibility of human error and reduces downtime. The threat of data breaches, both locally and in the cloud, is significant and will only continue to increase. 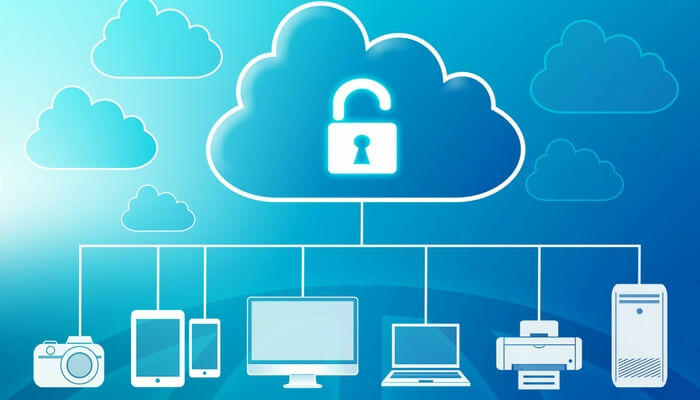 However, despite the ongoing threats and data breaches that are always well publicized, there are security benefits to being in the cloud. Cloud providers have a vested interest in providing the best possible security. Economies of scale also allow them to achieve faster and better recovery in the case of a breach. Things happen. Natural disaster and weather problems can bring any enterprise to its knees. In a cloud computing environment, disaster recovery doesn't include canoeing into your data center to assess the damage. Near instantaneous access to wireless backup allows enterprises to recover quickly and focus on local efforts instead of soggy servers. Don't let the hapless custodian take down your server room with the flick of a switch. Protect against human error and intentional damage by moving critical data off site. In a secure data center with 24/7 monitoring and advanced screening techniques, the servers and data are always protected. Agility means scalability and mobility for growing your business. The key to success is developing an agile infrastructure that can handle the changing needs of a business. In a physical room or building, you're boxed in. Sliding up and down the scale is limited. In the cloud, those limitations disappear. Is agility a cost-based consideration? Yes, but the ability to meet the needs of your customers and to compete in a fast-paced environment mean the value of scalability is greater than the cost. Regulatory compliance is a major benefit of a move to cloud-based computing. The fines associated with not meeting the standards set forth by HIPAA and other regulatory agencies are expensive and embarrassing. Support your internal compliance team's efforts by partnering with a provider that offers computing in a certified center. In the great debate of Cloud vs. Data Center, who comes out on top? With a cloud-based solution, the winner is your business. At Atlantech, we help companies in the D.C. metro make these important decisions every day. Wondering which solution is right for your business? Give us a call and let us perform a needs analysis.